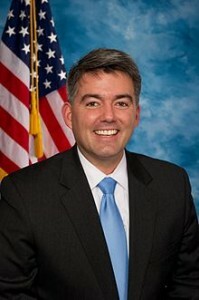 U.S. Sen. Cory Gardner got money to refill the coffers for the Land and Water Conservation Fund moving in Congress this week. After Gardner testified on the funding bill Tuesday he is cosponsoring, the Senate Energy and Natural Resources Committee passed the measure and now it goes to the floor for a vote. Money for the fund expired in September, and we’re thankful to Gardner for keeping Colorado’s needs in the legislative forefront. There are a lot of issues competing for the Senate’s attention right now, but this money is essential to Colorado. The committee also passed other bills cosponsored by Gardner, including funding to address the national park maintenance backlog, of which $238 million is needed for Colorado.